NetEnt has gone football crazy to mark the World Cup 2018 in Russia. The festival of football is finally here and in between games, you could pick up a share of more than €1 million in prizes. It’s all part of the Swedish gaming company’s Mega Million World Cup casino promotion. The top game developer has already announced a whole raft of exciting promotions based around the World Cup. From its free rounds widget, offering casino free spins to players, to live sports roulette, you can enjoy the action from Russia whilst still indulging in your favourite slots and table games. Jump on to your favourite NetEnt casino right now to find out how it’s possible to turn up the World Cup excitement even higher! On every day between Thursday 14th June and Sunday 15th July, you can win €3,800 on every day on which there is a World Cup game. With the early group stage bringing the games thick and fast, that means plenty of chances to win early on. There are also two huge jackpots available. The Hall of Gods slot will pay €350,000 and Mega Fortune has a mighty €650,000 on offer. And that’s in addition to the huge regular jackpots already building! The matchday prizes of €3,800 could come your way simply by you entering that day’s raffle. Just stake €50 on Mega Fortune or Mega Fortune and you earn one raffle ticket. You can pick up up to 50 tickets per day, and the more you own, the better your chance of winning. All of the tickets go into the draw at the end of the day from across the participating casinos. NetEnt selects one winner at random and they pick up a cool €3,800 in cash. You don’t need to opt in to win one of the boosted jackpots. From 14th June, anyone who claims the progressive top prize on Hall of Gods or Mega Fortune also earns at six-figure bost to their reward. These progressive jackpot slots already offer massive prizes and regularly make millionaires, but winning during the World Cup can make you even richer. The best thing is that, even if they don’t go before the football winner is crowned, the extra money remains on offer until someone claims it! Hall of Gods and Mega Fortune are progressive jackpot slots from NetEnt. You can play both at most decent UK casino sites and the top prize grows every time someone takes part. With players across the NetEnt network all contributing to the jackpots, they rise quickly. 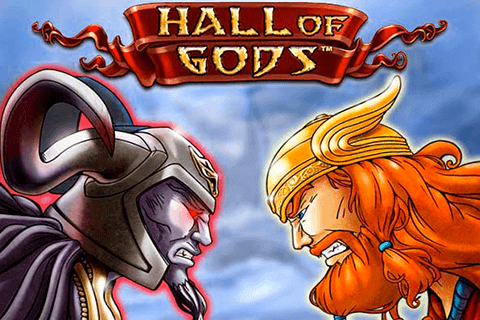 Hall of Gods has an average win of €5.9 million on the biggest of its three jackpots. It is a Norse mythology themed slot with five reels and 20 paylines. You can stake on all 20 paylines for anything between £0.20 and £50, depending on your budget. Symbols include heavyweight Norse gods such as Thor and Odin, with traditional black ravens and Viking treasures adding to the theme. Land three bonus symbols to enter the bonus round, where you can pick up one of the three jackpots, including the multimillion pound top prize. Mega Fortune has an average jackpot of just over €4 million, but is responsible for NetEnt’s biggest payout. In January 2013, a Finnish player banked a cool €17.8 million after spinning its reels. Once again, there are multiple jackpots on offer, but it is the major jackpot that makes the headlines and creates regular millionaires from this fun progressive jackpot slots game. It contains five reels and 25 paylines, with symbols representing wealth and prosperity across the board. The Mega Million World Cup casino promotion is on at participating NetEnt casinos between the beginning and end of the World Cup. The additional jackpot funds will remain on offer until someone wins, even if that is after the football action is over. The daily raffle draws take plae on the days on which there are official World Cup matches. If you are a football loving slots fan, check out Hugo Goal, Play’N GO’s contribution to the beautiful game.